When this video first came out about 10 years ago, the Islamic violence taking over Europe looked like a science fiction movie. 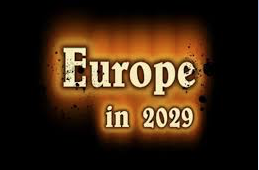 But just 10 years later, ‘Europe in 2029’ – the video – looks a lot more lifelike, with many of the visual images in this footage already a reality in Western Europe. A few countries such as Italy, Austria, and the Eastern bloc of Hungary, Poland, Slovakia, and the Czech Republic have taken steps to prevent ‘Europe in 2029’ but will it be enough? 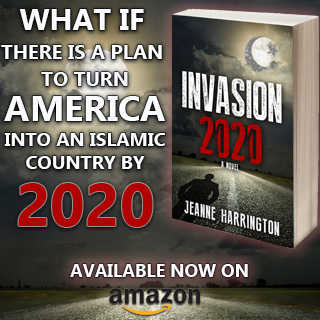 America might avoid the 2029 Islamic nightmare, but only if Canada regains its will to save itself from going the same dangerous Muslim immigration route of Europe. Western leaders HATE the HOLY ONE, our Majestic, Glorious, Wonderful Creator. Western leader GOD HATERS and intelligence agencies are cognizant of the TERRIFYING facts of the MILITARY-POLITICAL CONQUEST Cult of Islam. Armed with this knowledge, our EVIL leaders mass imported Muslims into our formerly SAFE, PEACEFUL, HAPPY, CHRISTIAN nations. The cosmic battle between Great EVIL and Good is unfolding before our eyes. 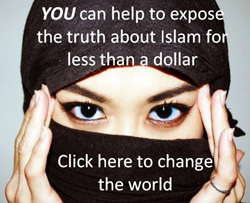 Western traitor leaders will NOT protect Jews, Christians and other non-Muslim innocents. Unfortunately, Europe already looking like this in some areas. Muslum savage take over. OK I’m perplexed about who and why – In many accounts stated by Jews they say they are at the heart of what is happening and when you look at history and supporting documents, it appears to be so. I do not however consider that the many ordinary Jews would want this as it would add to their same shared misery. But when you look at select groups, eg Tavistock Institute, Homosexual International, T.C etc, it is evident that there is a strong Jewish presence, but I do not consider these so called Jews as I do the many Jews in common society that I know. We are all being distracted from the end that THEY want, would I stand with Israel against the Muslim threat? YES. Would I take arms against the THEM? YES. We need to sort out WHO, then we can address WHY. I suspect that the normal Jews are being used by groups that are quite pernicious, now as the white western world is under extreme threat, the same threat is encompassing all. So it must be a group calling themselves Jews that are not Jews. 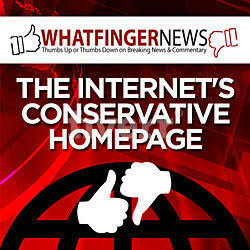 Couple these with the crazy religious groups and you can see where they get the impetus to think they will succeed. Og, keep in mind that those Jews are leftists first and foremost. The farther left they lean, the less Jewish they are. Most Orthodox Jews are conservative politically and they love Donald Trump. Leftism is its own religion and has little if anything to do with Judaism. They might call themselves Jews, but they are Jewish in name only. Unfortunately, leftist Jews comprise around 70% of the American Jewish population, regrettably. But that’s because when Jews started immigrating to this country mainly from Russia and Europe in the early 20th Century, the only people who gave them the time of day was the newly formed Liberal Party, who were happy to have anyone to increase their numbers. From that time, loyalty to the Left was passed on from generation to generation, and continues until today. It’s really that simple, even though they are an embarrassment to the rest of us Jews.